Speerhas Business Machines stocks many supplies for office equipment. We stock toners and developers for copiers, and toners and ink films for plain paper faxes. 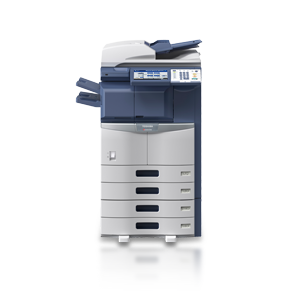 We specialize in toners for Toshiba copiers and fax machines, Mita copiers and Brother plain paper faxes. We have many printer cartridges on stock. We can order just about anything you need for your office equipment, including plain paper. We also give a 10% discount on orders of four or more items at a time. Speerhas Business Machines prides itself on its free delivery of supplies right to your door. "The Service Specialists" continue by installing the products into your equipment for you at no extra charge. We also have maintenance contracts which cover all supplies for your copier! That's trouble free dependability. That's Speerhas Business Machines!